You want your pizza to be easy on the garlic and loaded with pepperoni? At Project Pie, you can have it any way you want. You can even pair Canadian bacon with Nutella if that takes your fancy. 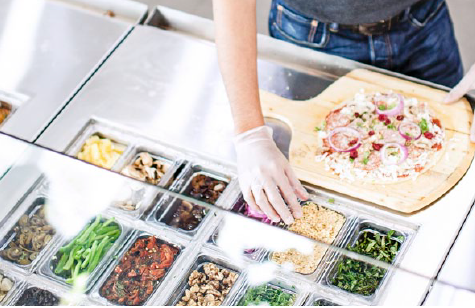 With various toppings to choose from, the customer is spoiled for choice. There isn’t a chance that you won’t get what you want, as customers design and build their own pizza with their choice of toppings. 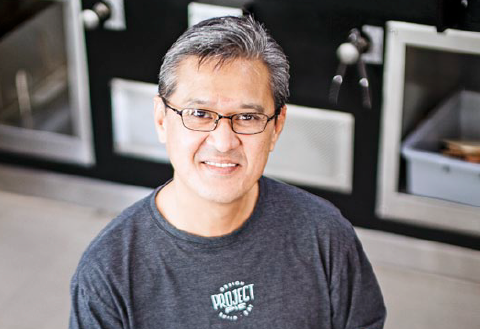 “What makes Project Pie a little bit more different from many pizza concepts available is the fact that you can put any topping you want and still be charged the same price,” says General Manager Cito Martelino. For P285, customers start with a plain 9.5-inch dough and move along an ingredient assembly line assisted by the store’s very engaging staff, called “partners.” The process of building can be as short as seven minutes if the customer knows what he wants when he queues at the counter. During the whole process, says Martelino, “You’re doing the building with partners on the other side who have the ability to engage and make you enjoy the process of designing your pizza without necessarily saying no to your request.” At the end of the line, your pizza is taken to a gas oven where it’s cooked for just two minutes. After which your name is called and your creation is ready to be picked up and devoured. For the customer, the variety, while overwhelming at first, is a novelty that doesn’t seem to wear off. But when some customers push their toppings to the limit given the fixed selling price and the unlimited options for toppings, costs come into play. “We’ve taken certain assumptions of what we think would be the breakdown (in terms of product costing),” says Martelino. “Of course, in certain pizzas, we make better margins. In some, we don’t. And at the end of the day you really average it. The point, really, is the concept.” He says management has already taken this into consideration and has included the average cost of the ingredients into the selling price. 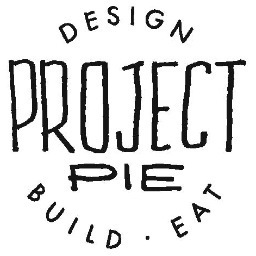 Project Pie was bought in 2013 by the Prieto family’s International Family Food Services Inc. (IFFSI), which also holds the master licenses for Shakey’s Pizza and Dunkin’ Donuts. The concept was developed by American restaurateur and pizza connoisseur James Markham, who came up with DIY pizza concepts MOD Pizza in Seattle and Pie-ology in Fullerton, California. IFFSI Chairman and CEO Leopoldo Prieto, Jr. signed the contract to be the brand’s official Philippine franchise partner after trying out Project Pie in the U.S. and meeting with Markham. IFFSI also holds the authority to franchise the brand in Asia. The first branch opened on Shaw Boulevard in Mandaluyong City in July 2013, the second in November at Bluebay Walk in Pasay City and the third in Alabang in December.